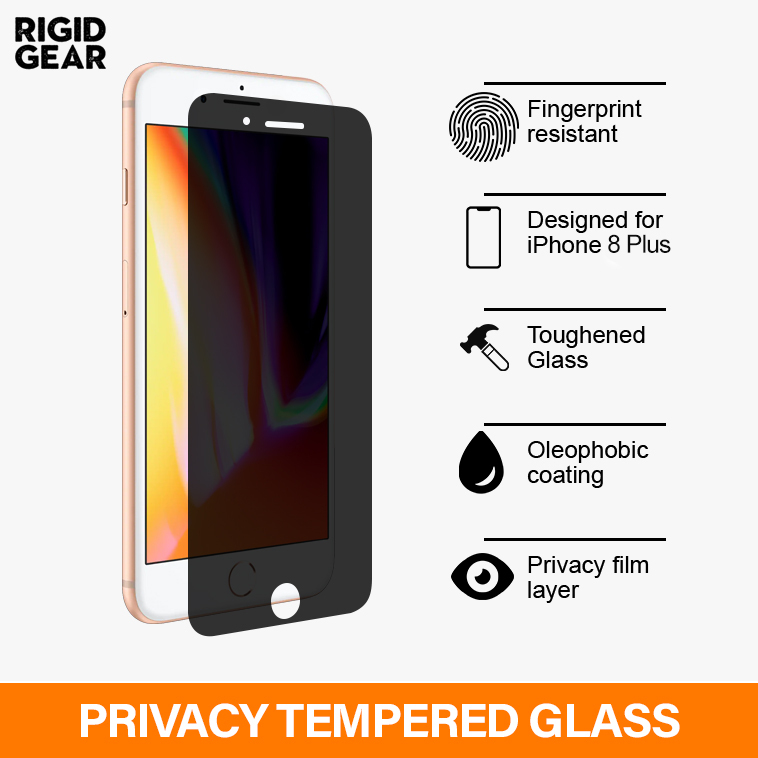 The Rigid Gear Privacy tempered glass screen protector has been designed for your Apple iPhone 8 Plus to provide you with privacy when using your device in public. Its 9H hardness, provides superior scratch protection and an unaffected screen clarity. Unlike usual screen protectors, the Rigid Gear Privacy tempered glass features smooth rounded corners, and it leaves no marks when removed. It also features an anti-shatter technology, so in case of damage, it will be kept in one piece. The surface has premium oleophobic coating, which makes it finger-print resistant. 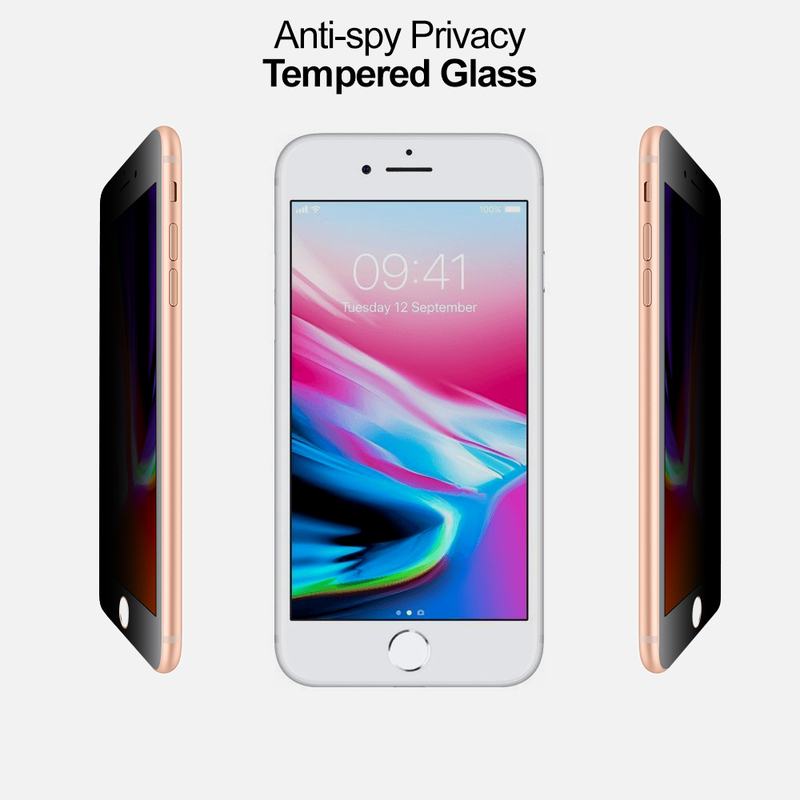 All these amazing features, plus the privacy filter that will offer you confidentiality when using your iPhone 8 Plus. Please note: The screen of iPhone 8 Plus is curved at each of its corners, therefore the tempered glass will only cover the flat surface, which makes this screen protector compatible with most cases on the market.